I.J. Business Do Ltd. (I.J. Do) began its activities in 2012, with its goal of becoming a solid bridge between Israel and Japan. I.J. Do and its business development consultants, acting in various roles and sectors in the context of Israel-Japan business relations. I.J. Do is specializing in penetration, business development and establishing trade relations between Israeli and Japanese companies and in promotion and marketing of Israeli products and technologies in Japan. I.J. Do activities include, identifying business opportunities, locating potential business partners, guidance and assistance during the adjustment stages of product / service / technology to the needs and requirements of the Japanese market, including the preparation of a strategic plan, collection and submission of information about the market, the competition, the end-customer behavior, purchasing patterns and more. We have established I.J. Do in order to deal with difficulties experienced by Israeli companies in penetrating the Japanese market because of culture and business gaps. Due to the nature of the acting figures and their background and connections, I.J. Do can overcome these obstacles and form a solid bridge between the Israeli companies and their counterparts Japanese companies. 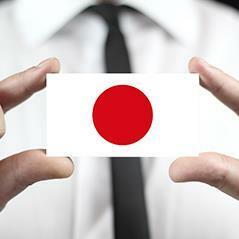 Assisting the company to find a Japanese partner/agent/learn about the relevant market, competitors etc. Assisting the Japanese company to find the relevant local Technology/ R&D partner/sales partner/act as a technology hunter in Israel/negotiation on behalf of the Japanese company, etc. I.J. Do is obligated to integrity, reliability, credibility, and complete professionalism. I.J. Do's advantage is in the team's framework, abilities, virtues, reliability and experience in marketing and business development, as well as in research and business development activities, both in the Japanese and in the Israeli markets.